You have made your choice America. You have kept a godless man in the White House. I now turn you over to yourselves. You are a nation divided, and a nation divided will not stand. Many sorrows are upon you. But though the sorrows may last for a night, My joy will follow quickly. My faithful need not fear, for I am ever faithful and true to bring you through this storm. Hold fast My people. Pray unceasingly. My dear brothers and sisters in Christ, we must pray without stopping. Our Father will provide and protect His own. His light must be brilliant and steadfast through us as we continue marching into the darkness for a time. We will be the only Yeshua so many now will see. Pray for the lost and the ones giving themselves over to the enemy. Interceed always. I pray for each and every one of you every day. Be strong and of good courage friends. I have only just begun to shake the nations and your lands. I am allowing the enemy to assault as never before, but know that My armies in Heaven are ready and waiting for My word to act. The greatest battle of all time is being waged for the destination of souls. I am separating the righteous from the unrighteous, and you must pray like never before for these who are walking in darkness and despair. My grace is like rain as it pours out over a people who must choose now the way of eternal life or suffer irrevocable consequences. It is My unconditional love and favor for you, and you need only accept this truth, as your works will not earn you a place within the Kingdom. My grace (like rain), is being poured out upon all. It falls on the budding believer, bathing him and encompassing him so that he may blossom into a relationship with Me. This same grace also falls on the blooming flower, its petals outstretched, and this believer absorbs My outpouring of grace and allows it to flow down to the stem, ultimately the root, and out to the ends of the petals, flowing outwards to others unhindered. Lastly this grace pours out on the wilting flower, the weary and discouraged believer, who feels he can not endure to the end. As I pour this grace here, it drips off the wilting flower petals, stripping with it the cares of the world, the sin that prevents us from walking hand in hand, and then flows into the ground, taking with it the seed of new life and yet a new season has now begun for this believer, a fresh beginning, as the old dies and fades away. Do not underestimate what you can and will accomplish with this grace flowing through you in the dark days ahead. I will manifest powerfully through each one of you. My light will penetrate even the deepest and darkest of souls to bring them into union with Me. I alone as their Creator know that in which each is purposed for in My eternal plan. It is through this breaking and crumbling that souls are drawn back to their original origin, Me. Do you understand that this must be so? I am renewing and reshaping all things. A new day is dawning as you approach the end of this age. Be not afraid for I have gone to prepare a place for you. But I am coming back very, very soon for you. I always let My faithful know what I am doing. You are always being prepared for what is to come. This is how I love My own. Hear My voice. Come to the fountain of living water and you will thirst no more. I am moving quickly now, stay in My flow. Humble thyself in the sight of your Mighty King. Repent of all your sins and totally surrender all to Me. As I was thinking of how He is purifying and refining, the Holy Spirit has revealed more to me as to how this will look in the physical. As Father is separating out His chosen, those that walk in the darkness, even the lukewarm, will begin to manifest characteristics of the devil. They will most times do this unknowingly, as their very soul is making a choice between light and dark. 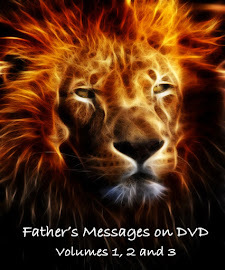 Behaviors and demeanors thought to have been overcome or lost in the past will suddenly resurface and manifest, as Father is attempting to get that soul to purge, to cleanse, to purify the heart in advance of His coming. He is literally sifting through the depths of that spirit, and forcing up and out, all the hidden areas of the heart that do not glorify Him. This soul will either allow the burning away of all that is dark, or be given over to it. This battle that has been raging around them in the spiritual will start to manifest physically and visably. What our position is to be while this is happening is complete surrender of ourselves to Him, full body armor on and fastened tightly!!! 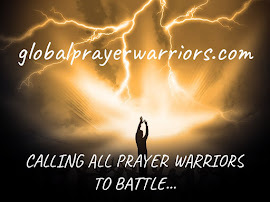 We are to be in constant warfare prayer as these souls literally experience the battle for their souls. You/We are witnessing the battle between the angels and the demons for their eternal destination. It is going to be the most serious warfare we participate in but also the most crucial, as souls very eternal outcome hangs in the balance. Pray for discernment especially, and wisdom, and stand in the light!!! We must not hesitate to be bold and courageous for what we know is truth and light, Yeshua. This is the fight for those souls that is truly the only one that matters into eternity, and we are called to interceed for these lost ones. Only Father knows the heart motives of an individual person, and what needs to be done to bring that soul back into alignment with Him. Remember too, as this is so important, most times, WE ARE THE ONLY LIGHT THAT SOUL WILL SEE WHILE FIGHTING THIS ETERNAL FIGHT! WE CAN NOT COMPROMISE IN ANY WAY IN OUR WALK!